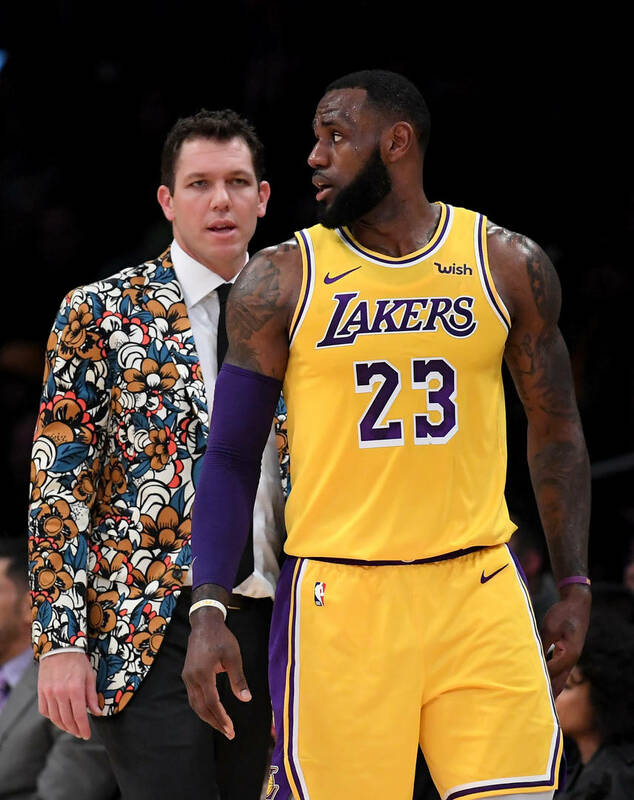 With LeBron James coming to the Los Angeles Lakers, there were a lot of expectations put on the team and head coach Luke Walton. Unfortunately for the Lakers, their fortunes started to spiral out of control after Christmas and the team will ultimately miss the playoffs. Throughout the year, reports have surfaced that the team is unhappy with Walton and that he'll be fired once the season ends. Lakers co-owner Jeanie Buss appeared on "Sports Business Radio Road Show" and praised Walton as opposed to trashing him. "Luke has always been somebody that - he came to the Lakers as a rookie," Buss said. "The last year of Shaq and Kobe. He kind of bridged two Lakers teams in the Shaq-Kobe era and what you would call the Kobe-Pau (Gasol) era. He is somebody I think who doesn't even realize what a natural he is and that leadership that he has in terms of getting people connecting with people in all ages. I think he's done a terrific job. He's a hard worker and somebody that players gravitate towards. He's done an incredible job under a lot of challenging circumstances." At one point, Buss was asked about whether or not Walton would coach next season. Buss cut off the interviewer saying "I'm not gonna answer that question." We're as tight as any two people, any two executives," Buss added. "We've got a mission and a purpose of what we're trying to do and we're not done yet but I think we're going in the right direction. In terms of basketball decisions, I will always defer to Magic." Once the season ends, a decision regarding Walton will most likely be set in stone so stay tuned for any updates on the fate of the Lakers head coach.